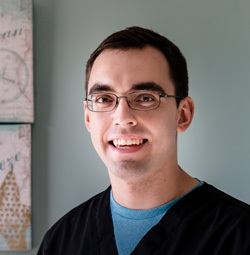 Eric is a licensed massage therapist. While chiropractic focuses on the relationship between the spine and its impact on the nervous system, massage focuses on the 650 muscles of the body. Both disciplines work together to help keep the body in proper alignment, balance and function.